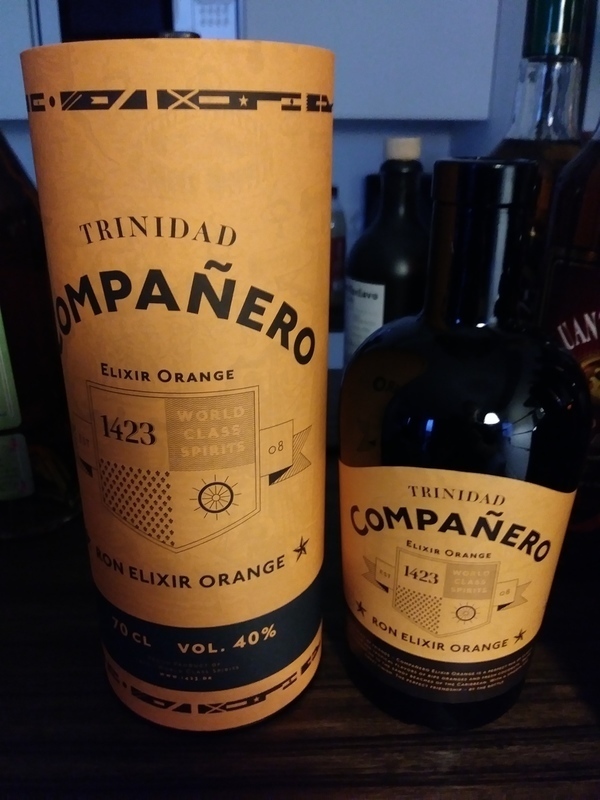 Have you found an online vendor selling Companero Elixir Orange ? Enjoyed a bottle of Companero Elixir Orange with my buddies while chilling out in Germany. Very nice box and bottle design. Dark brown color. Very strong orange flavor to both nose and palate. Not artificial orange like Pyrat has, so easily earns 2 points more. Again, a rum that I only tasted once, so keep it in mind. A nice smell of coconut to me, but the taste is very different: orange, herbs, chocolate. Somewhat interesting, but I might need a bit of time to get used to it. Would give it another try if I have a chance to, but the taste is bit too complicated/atypical to me. It has smell beautiful exotic fruits, also the taste is similar. Maybe isn't brilliant but for me it was really pleasure and fun. Zoete rumlikeur met sinaasappelsmaak. 40% abv. Niet slecht voor in een cocktail. First of. This is not really rum, it's liquor. So the rating depends on what you're expecting I guess. The nose is, not surprisingly, filled with orange, the dried candied kind you get at christmas, and fresh coconut. Sipping reveals a very, very sweet character, again with orange/coconut notes. It's suspiciously smooth and obviously a tampered "rum". It's pure candy and could be used as a desert if your in the mood i geuss. In that regard it's not bad. I have a sweet tooth, but with that said some of the rums produced in this day and age with lots of added sugar and flavouring just crosses the line of what constitutes a rum over to the side of liqueurs. Overall: This is just too sweet for me. I would maybe use it in the kitchen as a replacement for Grand Marnier, but that is how far i would go with this one. 170 grams of sugar added, compared to Zacapa 23's 20 or Diplomatico's 40. Quite ridiculous. Still, it's somewhat enjoyable. Flavor is dominated by coconut, orange and sugar. If you like liqueur with a tropical flavor, you'll like this. I like sweet rum, but this is just too sweet, too much orange smell and taste, would barely call this a rum. Zajímavé pití. Ocení asi i ženy. Vůně příjemně kokosová, sladká. Chuť jemná, kokos v pozadí, spíš pomerančová. Příjemné pití, ale spíše charakteru likéru než klasický rum. 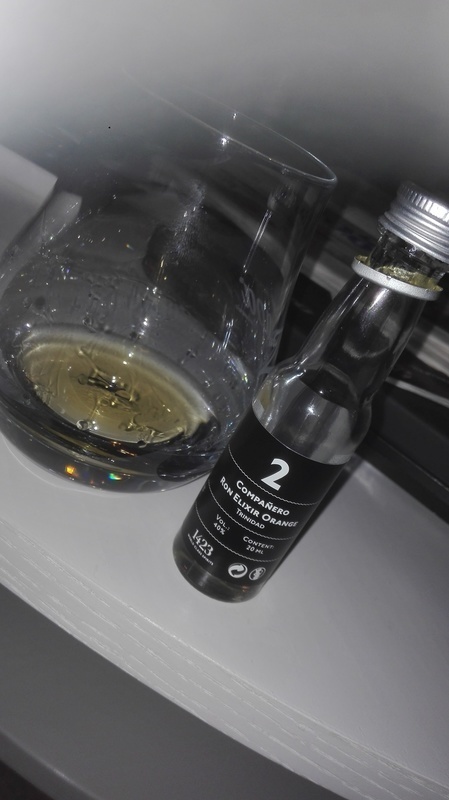 Minder om Rum Company CocoOrange. Ikke noget, der efter min mening, kan drikkes som en sipperom. ...surprise! More of a liqueur though, something positively odd. En del appelsin og kokos, men den ender med at være for sød også selvom den har lidt bid. Just another orange elixir. Its not bad but not good either. Its sweet in nose same as in palate with orange as dominating flavour. Bites a bit on tongue. Ubehageligt sød. Alt for meget orange og kokus. Helt kunstig i smagen. In der Nase ein Duft von frisch geschälten Orangen gepaart mit dezenten Holznoten. Im Gaumen nicht so ideal ausbalanciert, im Aroma eher wie bittere Orangenschalen in Trinidad Rum. Im Abgang sehr klebrig mit süssen kandierten Orangen. Ein nicht so intensiver Orangen Rum der sicher seine Anhänger findet. Ich bevorzuge den JM Shrubb Liqueur oder den Clement Liqueur Creole. Honey yellow amber in the glass. In the nose a scent of freshly peeled oranges paired with subtle notes of wood. On the palate not so ideally balanced, the aroma more like bitter orange peel in Trinidad rum. Very sticky on the finish with sweet candied oranges. A not so intense orange rum that will surely find its supporters. I prefer the JM Shrubb Liqueur or the Clement Liqueur Creole.